Click here to get tickets to see Masters of Soul on Saturday, March 9, 2019, at 8:00 pm! When you hear the phrase “Motown music” what pops into your mind? Images of well-dressed gentleman executing perfectly-timed choreography? The sound of tambourines, driving drum beats, and powerful horns? Catchy songs that you can’t help but dance to? The Motown Sound was one of the defining sounds of the 60s, and it’s impossible to forget once you’ve heard it. With its driving bass lines, sophisticated melodies, gospel-like vocal harmonies, and use of tambourines and horns, Motown can’t be mistaken for anything else. But Motown was more than just a sound. It was born during the same decade as the the civil rights movement and helped create music that broke down barriers. Motown shared and popularized traditionally African American music with a broader audience, and was the first African American-owned record label to reach widespread national, and international, acclaim. Motown was more than music: it was a part of a bigger movement. Motown began with Berry Gordy in 1959. Gordy had found a bit of success as a songwriter for singer Jackie Wilson, but quickly realized that songwriting, while artistically fulfilling, wasn’t very lucrative. He saw that the real earning potential came from the production side, so he pivoted and started searching the Detroit music scene for acts to produce. And that was when he found Smokey Robinson and his band The Miracles. Not long after, Gordy borrowed $800 from family members to form his original record label, Tamla Records. He bought a 2-story house that he converted into recording space, office space, and living space and dubbed it Hitsville USA. By 1960 Gordy had his first hit (reaching #2 on the Billboard charts) with Barrett Strong’s “Money (That’s What I Want)” and he changed the name of the label from Tamla to Motown. A year later he had his first #1 hit with The Mavelette’s “Please, Mr. Postman”. Gordy and Motown Records signed acts and talent who became household names like Mary Wells, The Temptations, Marvin Gaye, and The Supremes; he hired songwriting team Holland-Dozier-Holland, who wrote some of the biggest hits of the 60s; and Motown’s house band, The Funk Brothers, who created the famous “Motown Sound”. Over the next ten years the Motown label dominated the Billboard Hot 100 charts. In 1968 alone, five of the top 10 records belonged to Motown, with the top three hanging onto their spots for an unprecedented month. Motown had firmly claimed its place as an American icon by the end of the 60s, but its influence didn’t end there. Motown and its later subsidiaries kept finding noteworthy artists and churning out massive hits as late as the 80s and 90s, with artists like Boyz II Men, Johnny Gill, and Stevie Wonder. Today the Motown label has gone through many different changes and no longer exists as the hit machine it once was. But that doesn’t mean the famous Motown Sound has disappeared. It still lives on through many of today’s pop hits (“Blurred Lines” anyone?) and through the generation who grew up listening to it. Now, 60 years after the Motown era started, you have the chance to experience the sights and sounds of a live Motown performance with the renowned musicians and artists from Masters of Soul. Masters of Soul celebrates the music of iconic artists who influenced an entire generation of pop music. Billed as “the most entertaining history lesson every performed,” the artists who are part of Masters of Soul authentically reproduce the look, moves, sound, and stylings of Motown artists. Hailing from Virginia Beach, VA, Masters of Soul boasts an impressive 10-member cast, including a live, on-stage band, and has performed sold out shows across the country since 2013. Featuring seasoned musicians and world-class performers, Masters of Soul captures the sights, sounds, and feel, of the Motown era and soul music. 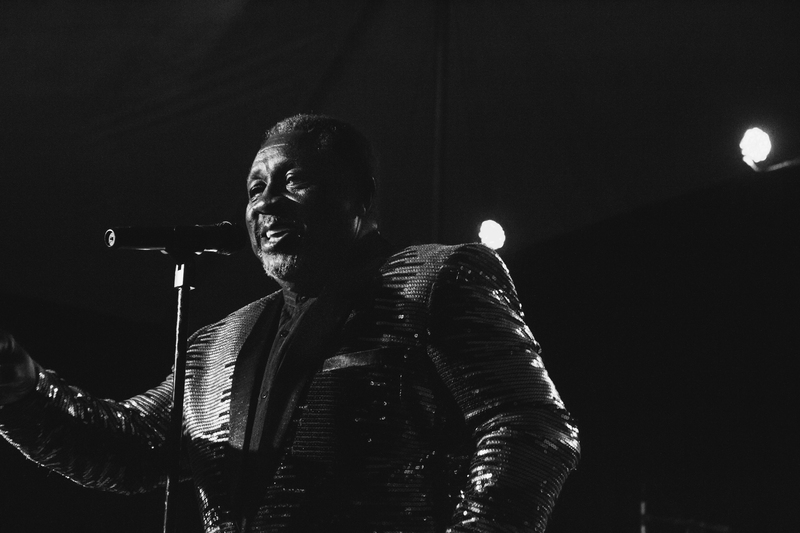 Masters of Soul is the ultimate stroll down memory lane, while at the same time offering younger generations the chance to experience the music from some of the greatest artists our country has ever produced. Tickets Still Available to See Masters of Soul! The music world has changed since Motown topped the charts, but if you want to experience the sound that changed American culture, Masters of Soul will take you there. Tickets for the March 9th performance of Masters of Soul are still available, but going fast! Get tickets to see Masters of Soul!